So the year has come and you’re starting to plan for your big day. One of the best things about having a theme for your wedding is that when everything becomes a bit overwhelming and you’re spoilt for choice, having a theme in mind can help guide your final decision. 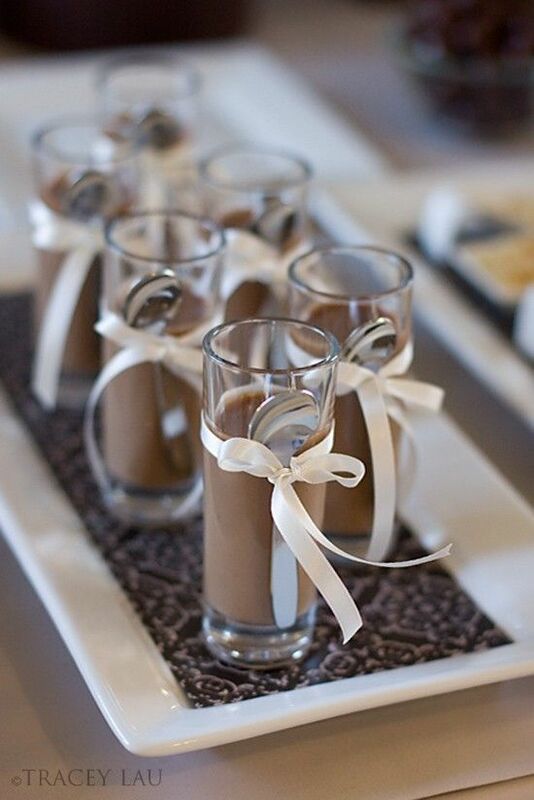 There are also plenty of small touches to consider that will make your day extra special and your event run smoothly. Here are the top ten style and trends we’ve noticed so far for weddings in 2018. Urban jungles are very on trend at the moment. In fact, there doesn’t seem to be a limit to how much natural greenery you can splash out with. Think deep, royal greens and luscious hanging ferns. Going heavier on the greenery means you can also be more flexible with your floral arrangements. You may choose to have less flowers, and simply keep it to one contrasting colour, i.e. white or natives. In the spirit of ‘going green’, paperless invitations are also become a more popular option for save the dates. Sending your invites via a website RSVP, or customised e-card is a much easier way to keep track of your attendee list. You can often also see who has and hasn’t opened your card yet, and follow up with any stragglers. Our top picks for paperless email invitations are Paperless Post, and Tie the Knot for creating your own free wedding website. The rural countryside wedding is becoming is the “new beachside”, with most couples finding the options to be more affordable and happily private (no tourists in the background of your wedding photos). Most suburban and rural venues for hire are also more likely to be flexible with the DIY options, so you can really customise the event to your taste. This has been a preferred option for a few years now, and it seems to be staying. Fortunately for the happy couple, it’s socially common to have a wishing well over a gift registry, so you’re not going to be stuck with three toasters and enough crockery to supply an army after everything is unwrapped. The beauty of a wishing well too is that it’s easier for your guests! They don’t have to stress or worry about what significant gift to buy, and will be able to gift you what they can afford. It is important though to have a dedicated wishing well on the night so your guests know where to give and you’re not trying to collect stray envelopes around the place at the end of the night. Native floral arrangements are more sought after by brides than ever before. Brides to be are opting for natural colours and native arrangements over traditional blooms that are exclusive to times of the year and usually don’t last more than a couple of days. The colours of Australia’s native flora and fauna looks stunning against white wedding dresses. It’s also a lovely touch for the groomsmen too. Similarly to the preference for native floral arrangements, Autumn is becoming just as popular time of year to get married as summer. Whilst summer is still the peak booking time for most venues, Autumn is becoming nearly just as busy. Read out blog post on Autumn weddings here. As bridal parties are becoming more relaxed and traditions are being challenged, we’re seeing an increasing number of wedding hire for cocktail events. Couples are preferring to have a more relaxed atmosphere for their wedding reception. Cocktail wedding receptions are a great choice if you’d prefer your guests to be mingling and interacting for most of the evening. To plan your cocktail reception, we’ve put together a list of our top tips of what to hire here. One of the blessings of social media today is that everyone can share what photos they captured on your day. If you are ok with your wedding photos potentially being public, creating your own hashtag is a really easy way for you to view all the images from your guests, in one feed. It also means if there are any specific photos that you really like, you can ask that guest to share the original file with you – remember, you’ll need the original if you want to print it. Your own unique hashtag is also a great way to share your event with any guests who weren’t able to make it. Following on from the sharing of photos on social, that usually means everyone has their mobile phones out to capture their own moments. Given you’re most likely to still invest in a professional photographer, many couples are specifically asking guests to not take photos during the ceremony. Why? Because if the bride is walking down the aisle and your photographer is capturing her between a crowd of guests, it’s much nicer to be able to see their faces than the back of their screens! Often the couple will ask the celebrant to ask guests not to use their phones during the ceremony before everything begins. Continuing with the greenery, natives, outdoors and natural stylings, boho brides and wedding themes are well suited to these settings. 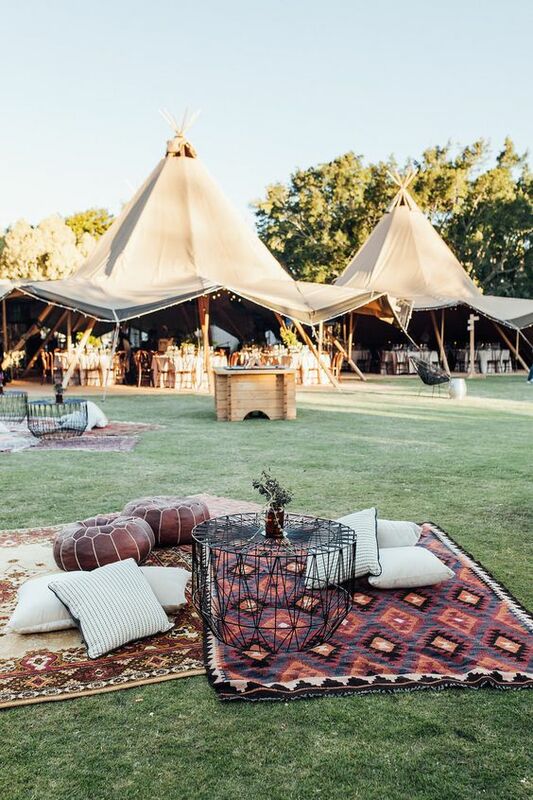 Boho themed and styled weddings generally set more of a relaxed vibe, and the overall feel is a bit more an eclectic mis-match, that somehow comes together perfectly. Earthy tones are used for decor and brides are usually adorned in lace, flowing dresses. It’s not uncommon for the bridal party to not be matching, and the ladies to be wearing flats instead of heels. The standard hire items are still usually sought after such as glassware, tables, marquees, lights and sound, and it’s the decor and finer touchers that bring the theme to life.